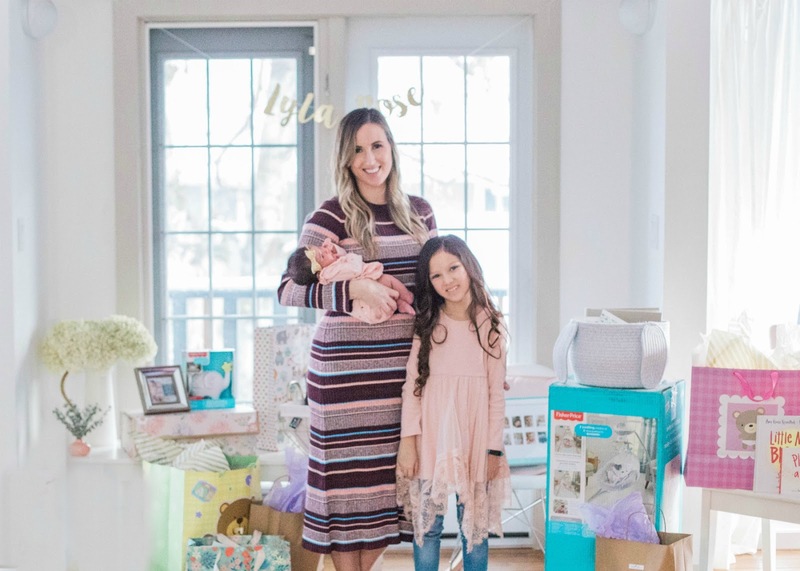 A couple weeks ago we had a little shower in celebration of Lyla's entrance to the world. 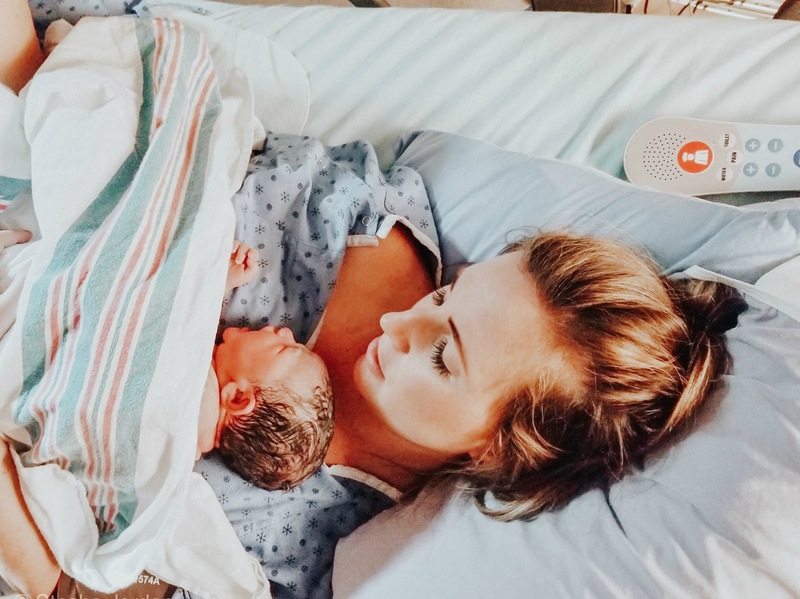 We had another shower back in Arizona before Lyla was born (I never pulled together a blog about it but you might remember this instagram post with some photos!) and now that Lyla has made her entrance we had a shower here at home. My great friend Jen, hostessed the most beautiful rose inspired day and it was truly incredible! A big part of a shower seems to be the registry, which can definitely be overwhelming. At our shower in Arizona we received lots of beautiful outfits, blankets, and little things we could bring home in our suit cases. When I started to think about our registry here I knew I needed to put actual items that were a necessity not just cutesy clothes. Since Lyla has been born my eyes have been opened to what items we were lacking so I turned to Amazon to create our registry. It is super simple to set up and allows for friends and family to ship the items directly to our home if need be. Plus the market place has so many different retailers and options you can get almost anything you need! Lyla Rose is almost one month old (ahhh!) 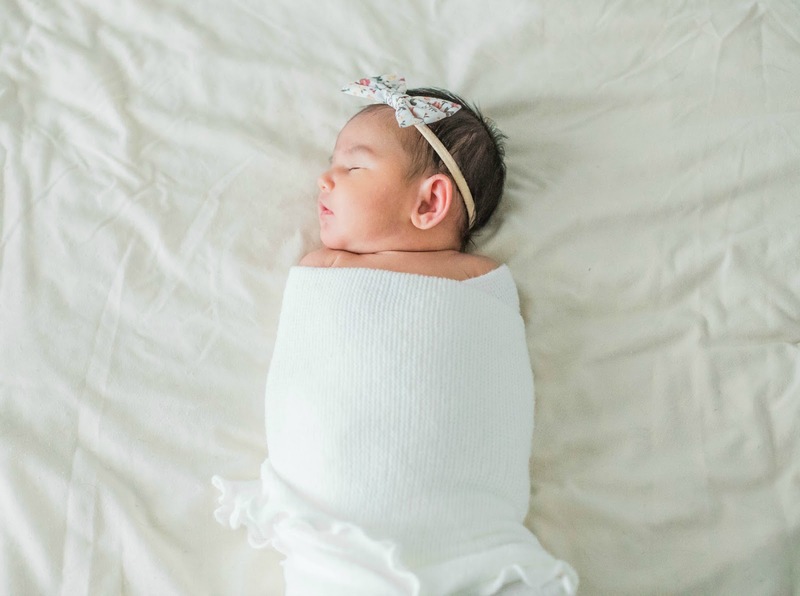 so I thought it was time I finally got her newborn photos up to share! We took these the first week home from the hospital, funny how those first couple of days are a blur yet the best days ever. The mix of adrenaline and exhaustion almost makes those first few days seem so far away and each day she gets older I want nothing more than to remember her just the way she was! Lyla Rose Puckett born January 26th, 2019 at 12:26am. Weighing in at 7lbs 1 oz and 19 inches long of absolute perfectness! *warning expect a long and probably TMI post on how we brought this sweet girl into the world. I am wiring this post for you but more for me because I never want to forget the best and hardest day of my life! Lyla's original due date was February 3rd, 219 but she was born at 38 weeks and 6 days, a week and a day early. I have been working on this post for months and finally just completed the project this week. It seems like it has gone on forever, partially because it wasn't a full priority and partially because trying to keep a 9 year olds room clean enough to take photos while simultaneously trying to complete a project is no easy task. But here we have it, just in time for our newest baby girl to enter the world any day now! 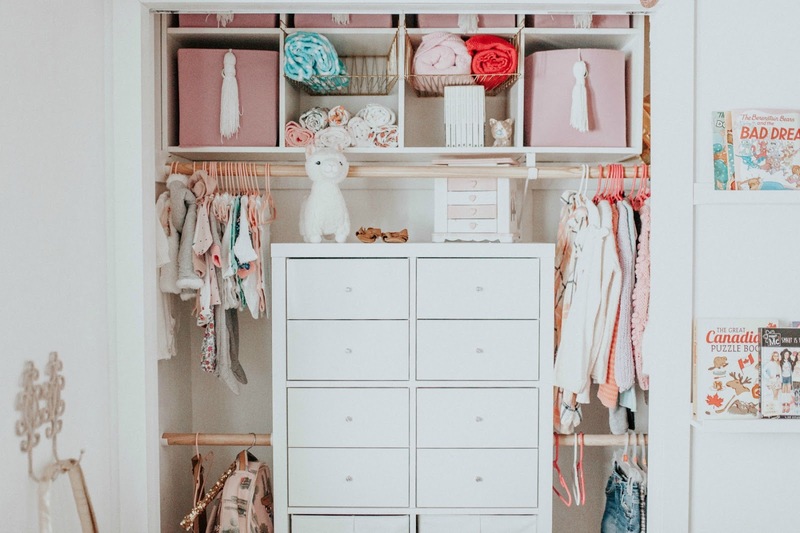 I am going to share how we transformed a standard closet into a shared closet easily and cheaply with just a few steps and of course help from our friends at Ikea. Anyone else obsessed with Ikea as I am? If only we have one in our city. Just over a year ago I posted Sofia's bedroom reveal in our new home, remember that? It was her happy place and still currently is. Her room has been perfect for her but with the baby arriving this year we needed to make some adjustments since we only live in 800 sq ft (read about why our house is small in this post). When I was first pregnant I would worry how Sofia would take the news, how are we going to add a baby with only 2 bedrooms, will she be okay sharing? 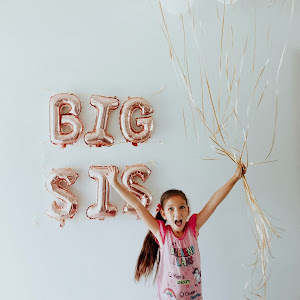 The day we told her she was going to be a big sister (read all about that in this post!) her first statement was "baby can share a room with me!" and once we found out it was a girl, she asked if baby girl could sleep with her the first night home from the hospital! Since then my mind has been at ease and I knew she would be okay with sharing! 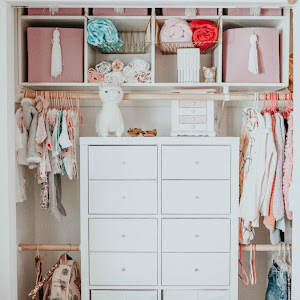 I will do a full room refresh this summer (baby will be sleeping with us for the first few months) so her room hasn't changed much but the closet has been transformed! Packing the hospital bag has been something I have been thinking about for a few weeks now. Once I hit 30 weeks I decided it was time to starting doing my research and seeing what was actually needed and what maybe I could do without. I did a poll on instastories, I read a bunch of blog posts, read my books, and talked with a doula. Then of course I looked at myself and decided what were MY must haves. All of these items are in the bag right now and the bag was just placed in my car today. 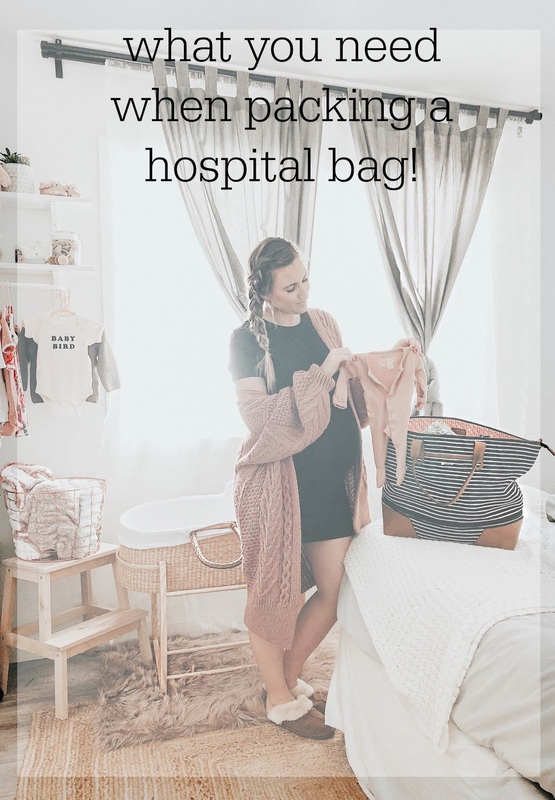 There are a few essential items that I use on a daily basis that I will grab or have someone bring me if I am not home when I got into labor. Things like make-up bag, hairbrush, and daily water bottle... after all I still need to function before the magical day arrives! Welcome to the last post of 2018, I can't believe how quickly the year has passed. It has been the BEST year yet! Definitely not without it's ups and down, struggles throughout but honestly the best because we got to greatest gift I could ever have asked for. In just a few short weeks we will welcome baby Girl into the world and then 2019 will be the BEST year ever. 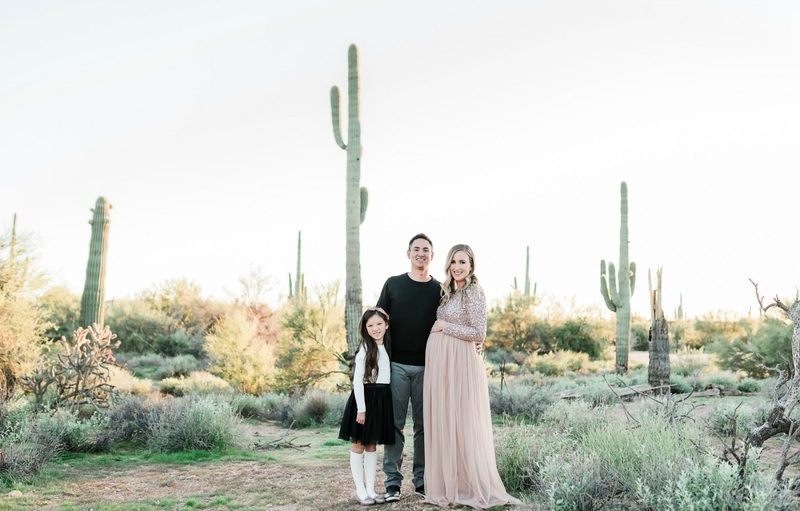 Today I am going to share our amazing maternity photos we had taken while in Arizona. 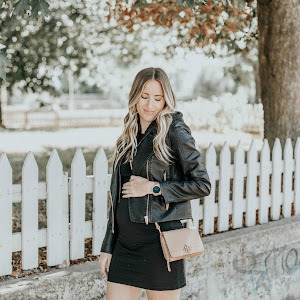 I had been putting together a vision on what I wanted my maternity photos to look like and after hours and hours of stressing that vision came to life exactly how I imagined! Good Morning + Happy Saturday! 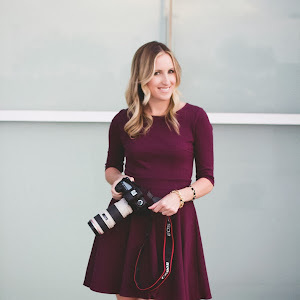 It has been a bit since I have gotten on here to check in with you all, life has been busier than ever and with baby quickly approaching and tying up loose ends in order to start maternity leave from my photography company. Needless to say my brain has been bit all over the place. 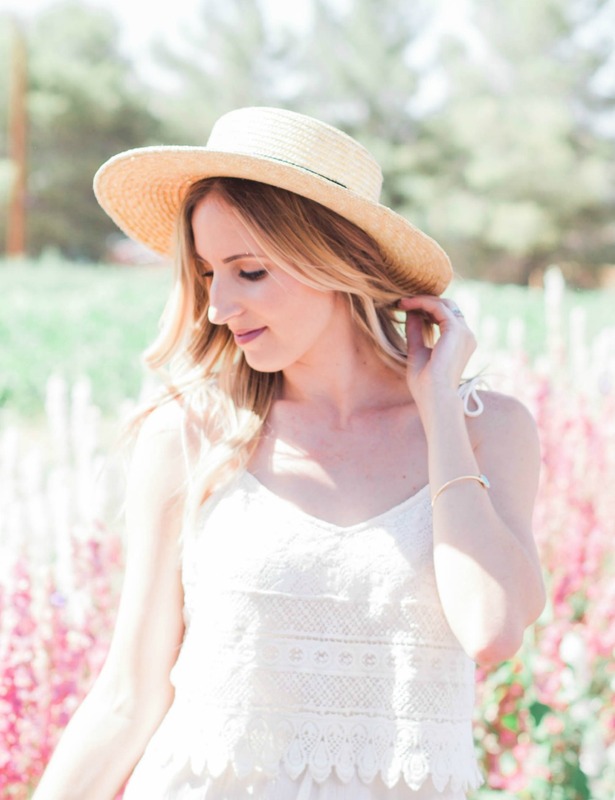 I am so excited to share one of my favorite CANADIAN shops with you today! I have been working with this company for a few months back and couldn't be happier with their brands and customer service they offer! It has truly become a one stop shop for moms to be, you can pick up your maternity items, baby gear/clothing, and even postpartum. Bellies In Bloom is located in Victoria, BC and ran by the sweetest owners, Sabrina + Becca. They have a brick and mortar shop as well as a huge online selection. Take a look at a few items I picked up from them and have been using/waiting to use non stop!